Global Eco Tech is a member of the UCSA Dealer Group- a community of UCSA dealers who are uniting in cooperation for service in America. 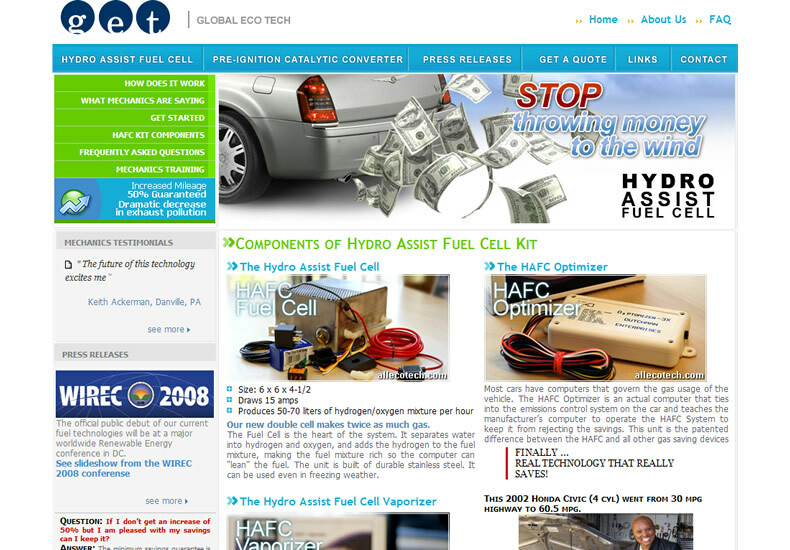 Global Eco Tech offers terrific product based on Hydro Assist Fuel Cell technology that allows drivers to save 50% or more on gas mileage. 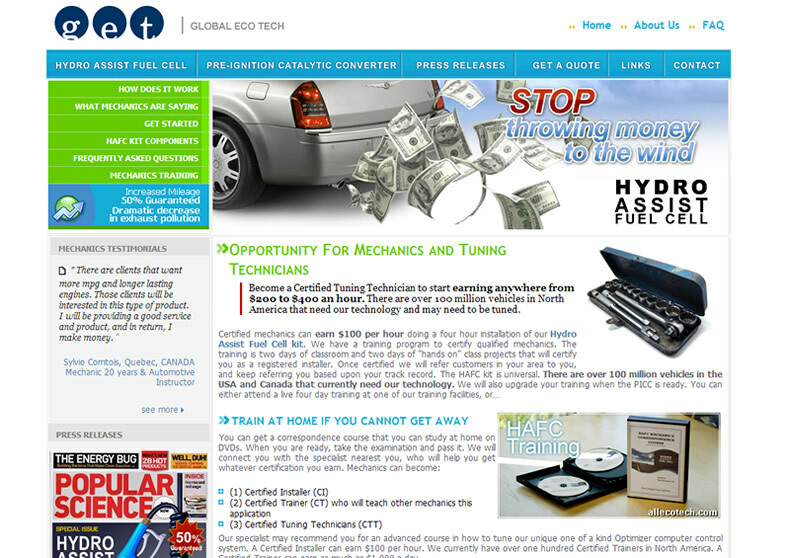 Task:Create innovative promo-site for an automotive industry company. 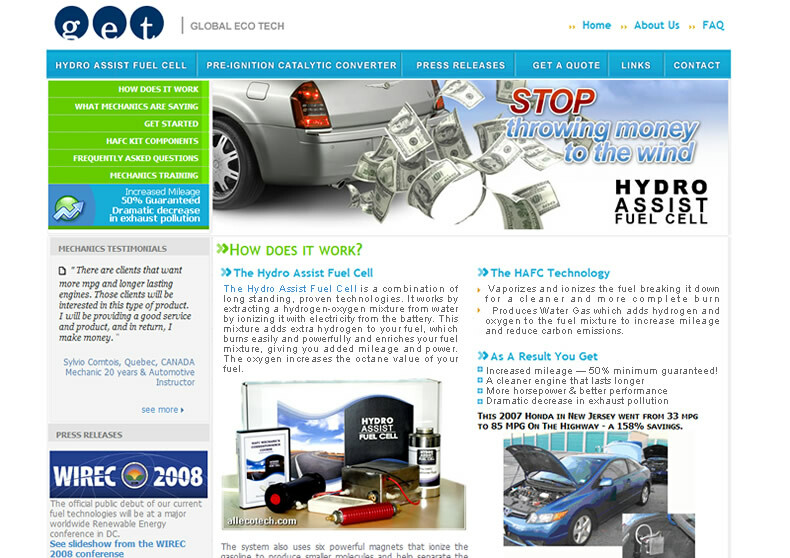 Promote their products by visually highlighting product's key benefits. 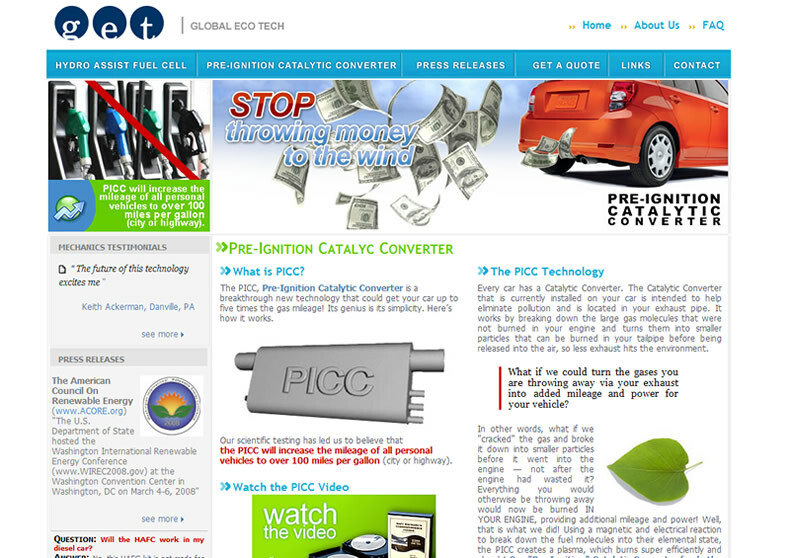 SOLUTION: Artisan Productions created clean, straight to the point website loaded with graphics, dynamic content. It is showing all of the best features and benefits of the HAFC and PICC technologies through the use of interactive content, examples videos.